Outer Banks Web Cams - OBX live web cams listed on one convenient page. 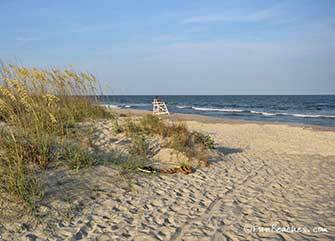 View our photos (not webcams) from the Outer Banks! Welcome to the Outer Banks OBX web cams.If you have any suggestions...web cams, drones,or panos, please let me know. Or if you have information to share, please contact me anytime. Patricia Blackstock. Documentary from National Geographic 2017. New England's best blue fin tuna fishermen venture south to North Carolina's treacherous fishing at the Outer Banks. Sharks in the Atlantic cam! Cape Fear, N.C.
Sept. 25. Videos of Hatteras. Sam Walker was on Hatteras Island today for a first-hand look at conditions. He ran into a few visitors who were on their way to mandatory evacuation order by Hyde and Dare Counties. Outer Banks Weather Radar. Keep current with the Outer Banks Weather Radar! Ribbons of Sand. The Outer Bank - a slim line of sand in the open Atlantic Ocean. sixty miles in extent, with no roads or bridges: The wild and remote Cape Lookout is one of the few remaining natural barriers.